This entry was posted in Finance, Identity Theft Protection on 11/21/2017 by Alejandra Vazquez. Cyber Monday, also known as the first Monday after Thanksgiving, has existed only a little over 10 years. Yet it’s the country’s biggest shopping event of the entire year, with sales outpacing even Black Friday. With thousands of online retailers competing for your attention with deals that sound amazing, it’s all too easy to fall for a scam or become the victim of theft. Identity protection on Cyber Monday relies on the same basic techniques you can use to stay safe all year round. 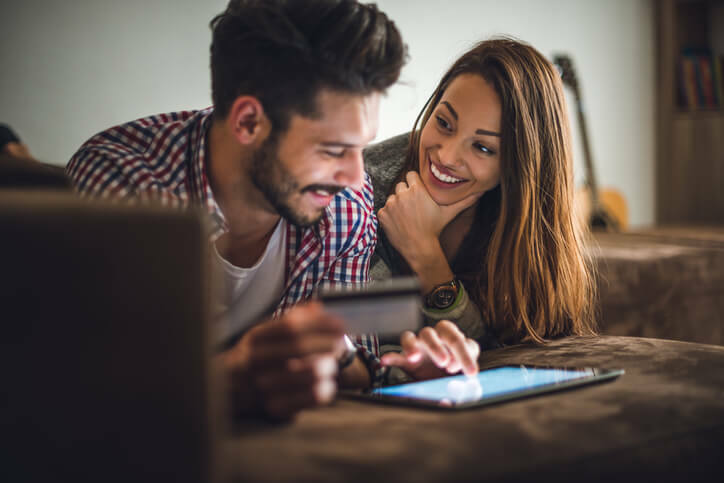 Before you start shopping, take some time to scout out new retailers in case you’re not content with the deals you can find on the websites you’re already familiar with. The middle of a heated rush to snag a deal that sounds too good to be true is not the time for doing research on the reliability of a company. Stick to well-known retailers and give yourself some time to do your homework before gambling on even the smallest purchase. Many of these scam sites are designed to steal your credit card information and use it later. Even minor cases of identity theft can interfere with your future plans for home ownership and more. Learning about unsecured and secured connections is essential for identity protection online at all times of the year, but it’s especially important during Cyber Monday. A secure connection protects your information from being intercepted as it is transmitted across the Internet while you place an order. A website run by a reputable company can still cause identity theft when the website does not properly protect its customers’ information. Secure connections begin with HTTPS rather than just HTTP. Even if the website claims to be secure, don’t shop if the checkout process isn’t handled through a web address starting with HTTPS. Whether you’re getting an online insurance quote, ordering presents for the holidays, or doing your banking over the Internet, you need a secure Internet connection as well. The public Wi-Fi signals found at practically every coffee shop and library are the opposite of a secure Internet connection. Your home Wi-Fi is also insufficient if it lacks a password and data encryption. Use a private network, preferably at home, which is secured through a complex password. Anyone who can gain access to the wireless network itself can try to intercept your information, so any activities involving private data should be done only on a secure network. You may already be covered by identity theft protection as part of a comprehensive homeowners or renters policy, but most people need a separate policy. Buying identity theft insurance is far less expensive than dealing with even a single case of theft, since a criminal can do a shocking amount of damage to your credit score with just a little information. Filing an insurance claim doesn’t completely undo the damage, but it does get you started on the process and makes it a lot less stressful. Don’t wait until Cyber Monday to consider identity protection. Call Freeway Insurance at 800-777-5620 or stop by one of our local offices to find out what type of identity theft protection insurance we have for you.